With an overall length of 16m and a beam of almost 5m, the Ferretti 530 offers a huge amount of volume for a yacht of this length. The interior space has an ingenious design that maximizes the space in all areas, and gives a level of comfort normally seen only on much larger yachts. The main deck is open plan, with a flowing feeling of space from the helm, through the saloon, to the galley, and all the way to the aft deck by way of the fold-up window. The main cabin covers the full beam of the yacht and offers plenty of daylight and a wonderful outlook through the large windows. This is a delightful place to relax by the sea. There is also a possibility of taking over a 4 years leasing. 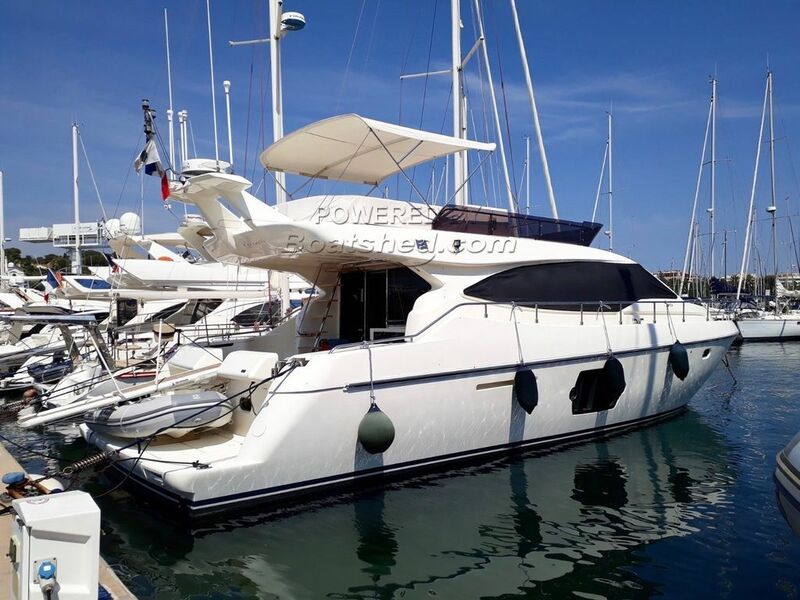 This Ferretti 530 has been personally photographed and viewed by Antoine Perrin Daragon of Boatshed Riviera. Click here for contact details.